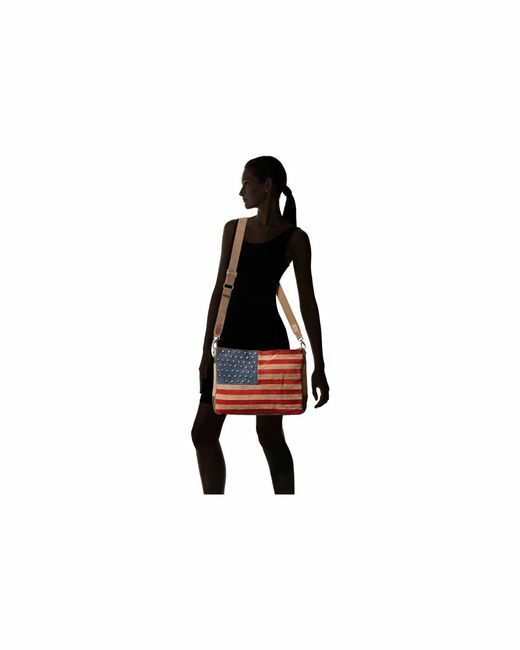 The Scully Americana Bag offers pure patriotic style! 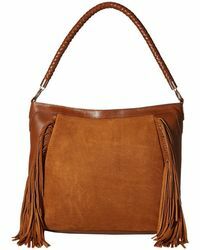 Suede flag handbag featuring leather trim and whipstitching detail. 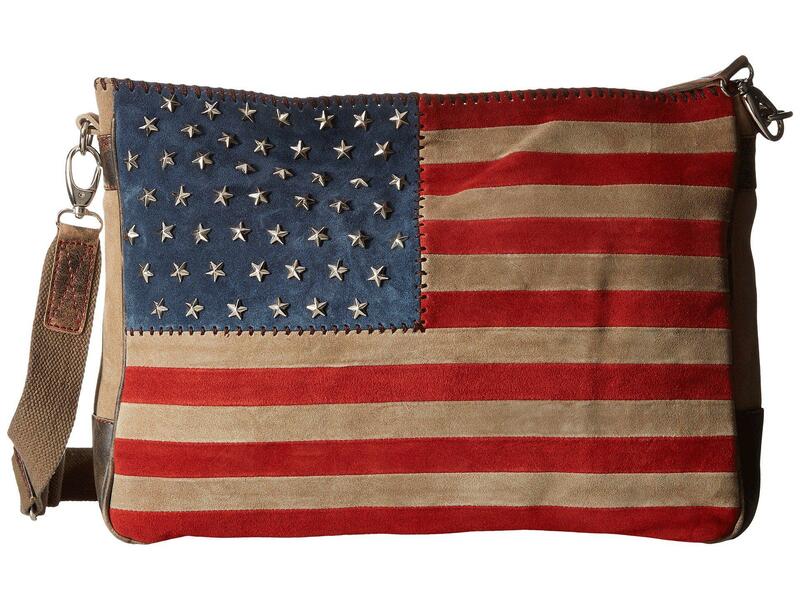 Features American flag print and studded stars. 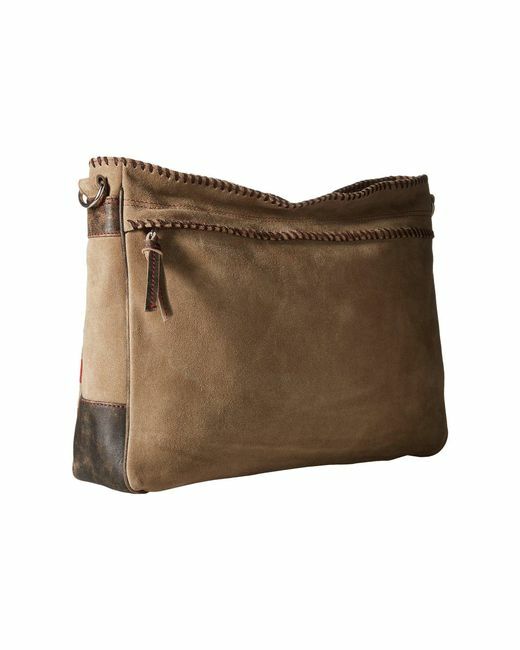 Roomy main compartment to hold all your daily essentials. 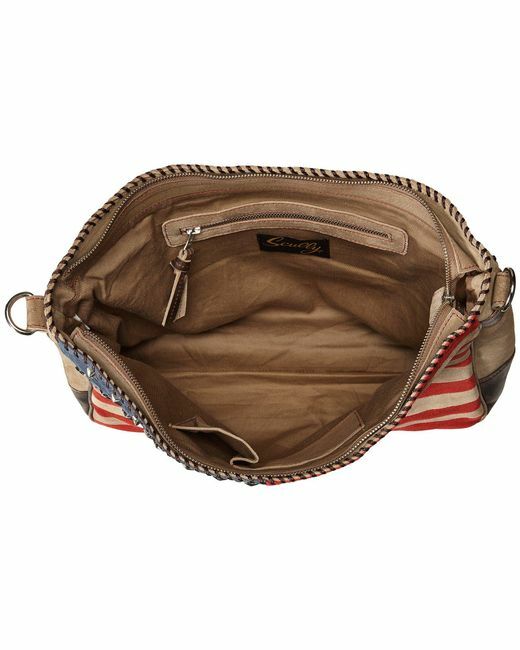 Exterior back zip compartment for added storage. 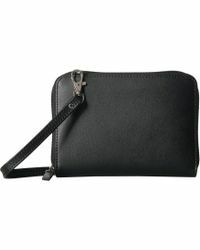 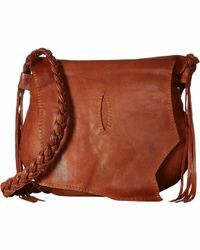 Removable and adjustable cross body leather shoulder strap. 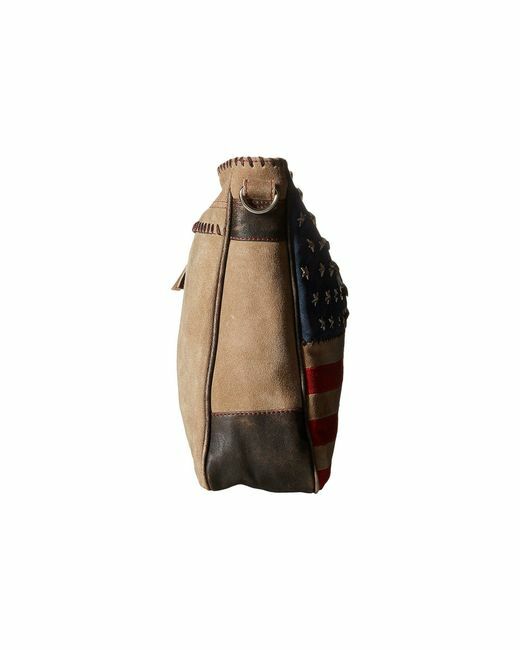 Top zip closure. 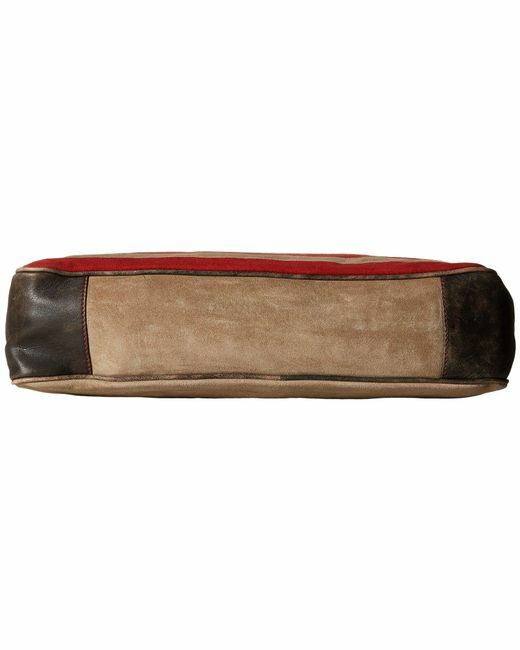 Interior fabric lining with one back wall zip pocket and two open zip pockets. 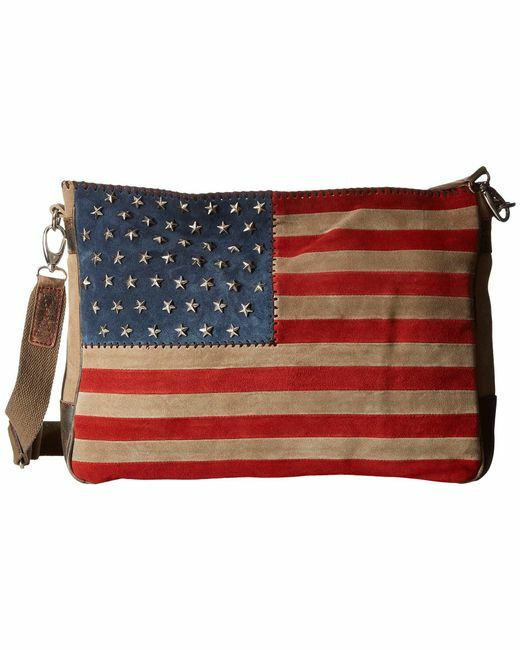 Measurements: Bottom Width: 15 1 2 in Middle Width: 15 3 4 in Top Width: 16 in Depth: 4 in Height: 11 in Strap Length: 48 in Strap Drop: 24 in Weight: 1 lb 12 oz.